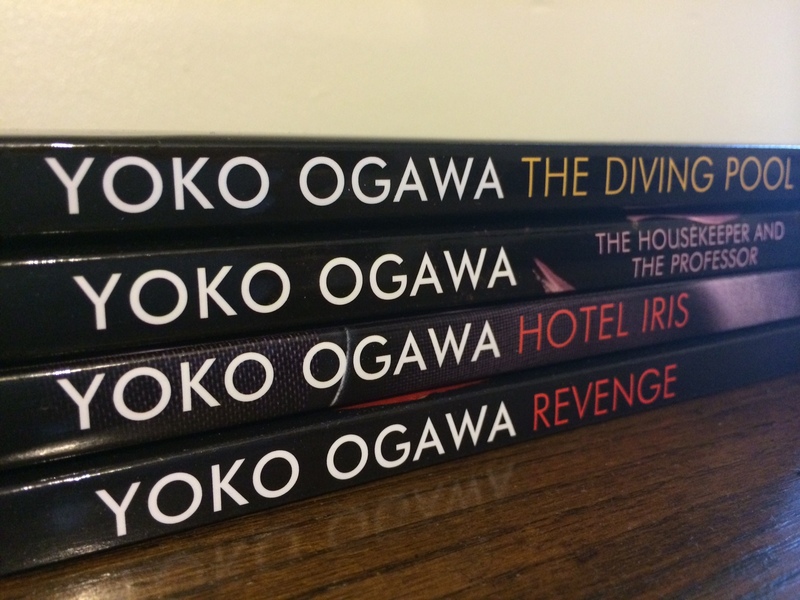 To celebrate the paperback release of Yoko Ogawa’s beautiful and edgy collection of intertwined stories, Revenge, Vintage Books has kindly offered four of Ogawa’s books to one lucky reader of chasing bawa. I loved both The Housekeeper and the Professor and Revenge which were so different from each other and yet left an indelible impression and have my mitts on The Diving Pool and Hotel Iris which I’ve heard are a little darker and subversive. Perfect reading for summer and #ReadWomen2014, no? So if you have yet to try Ogawa’s work, make sure you leave a comment and I will pick a winner on July 3rd. The giveaway is open to UK readers only. Good luck! If you can also let me know your favourite Japanese book, film, manga or J-drama, that would make me a happy bunny too. 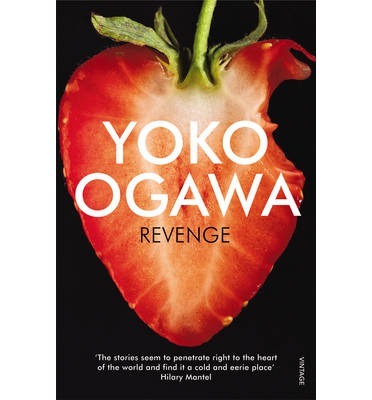 Revenge by Yoko Ogawa is published in paperback on 3 July (Vintage, £7.99). To coincide with the paperback release of Revenge, Vintage will be reissuing The Diving Pool, The Housekeeper and the Professor and Hotel Iris in paperback. So many books and too little time! I plan to read more Japanese books for Bellezza’s challenge this year too! I didn’t know what to put as a comment, so here’s a saying from Japan: there is luck in the last helping. I hope this is true, and it brings me luck. Commiserations this time round but I do hope you will participate in future giveaways too. Thank you for commenting and I love the Japanese saying. I cannot enter, being in the US, but what a wonderful gift for someone!! Have you read any of Ogawa’s books? There are so many more Japanese books being translated now that I’m happy there’s a lot more choice!